Snoop Dogg's new documentary Reincarnated, which tells the story of the rapper's recent transformation into reggae singer Snoop Lion, will reach theaters in select cities March 15th, according to The Hollywood Reporter. The Andy Capper-directed film finds Snoop reflecting on his long career and rise from Long Beach, California, gangbanger to aspiring MC to hip-hop superstar, and also chronicles a trip to Trench Town, Jamaica, the birthplace of reggae and one-time home to legends like Bob Marley, Peter Tosh and Bunny Wailer. Reincarnated made its premiere last September at the Toronoto Film Festival, and will now open in theaters in New York City, Los Angeles, San Francisco, Miami, Chicago and Atlanta. 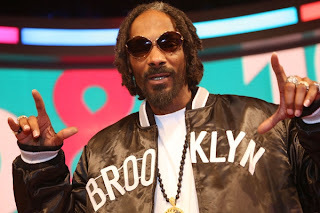 Snoop Dogg revealed his new reggae project – and monicker – last summer with the release of the Diplo-produced single "La La La"; a full album, also titled Reincarnated, is slated for release sometime this spring. "What it is is trying to bring some love and awareness to some great music that was created, that was made to grow and made to have a life, to have the right attention put on it, so hopefully it'll do what it's supposed to do," Snoop told Rolling Stone of one of the reasons behind his transformation back in July. "People, no matter who they are or what color they're made, this is some great music and it's made for everybody."